The decision as to whether or not to allow your children screen time and/or how much screen time, is a decision that is facing all parents. In the past ten years smart phones/tablets/computers and their use has become a real dilemma for parents and schools. 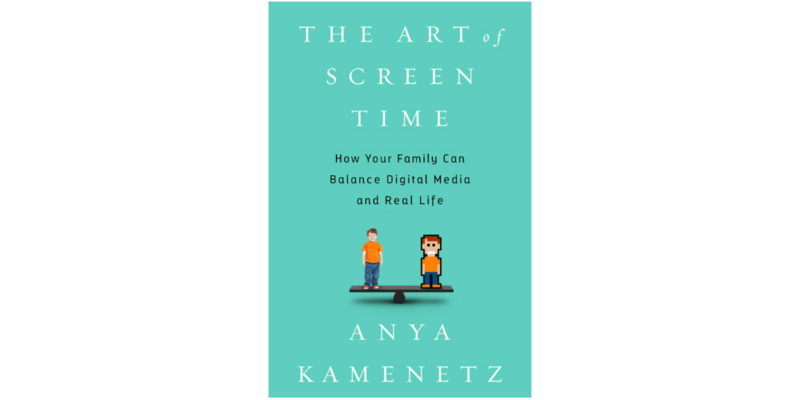 In Ms. Kamenetz’s interview, she admits the effects of screen time have not been definitive, although studies have show that when children are facing screens at night, holding them close to their eyes, their quality and length of sleep is affected. There have also been small amounts of evidence linking screens to depression, anxiety and ADHD. Ms. Kamenetz encourages parents to talk about the different types of screen time, passive verses active and the value of each. Many years ago we had an alcohol counselor present the question of “When is alcohol a problem?” to our students. His response was “When it causes problems.” Ms. Kamenetz seems to be saying the same thing regarding screen time. Is your child withdrawing from family and friends? Has your child lost interest in activities outside of school? Is screen time causing family discord? As long as your child is willing to turn it off, it should not be a problem. Ms. Kamenetz argues that screens can be good for creativity and learning. Children can learn how to research topics of interest or, for example, how robotics work. The issues are obviously not the same for all age groups of children. For young children, parents can make the rules. For adolescents, parents need to learn how to negotiate screen time with their children.